A Nunavik community is on track to launch the country’s first Inuit-owned hydroelectric project this summer. The Innavik project in Inukjuak aims to produce the basic power needs for the community of 1,800 through a 7.5-megawatt generating station along the Inukjuak river. The project dates back to 2007, when the local Pituvik Landholding Corp. first commissioned feasibility studies to look at potential sites along both the Inukjuak and Kongut Rivers. Though the project sat dormant for a number of years, Pituvik revived the project in 2015 when it paired up with a Quebec-based renewable energies engineering firm, Innergex Development Corp. Following the release of a series of environmental impact studies, the Kativik Environmental Quality Commission hosted project hearings in Inukjuak on March 11 and 12. “They wanted to hear what the community had to say about it,” said Eric Atagotaaluk, president of Pituvik Landholding Corp. and a long-time project proponent. As it stands, Pituvik and Innergex propose to build a generating station about 10 kilometres from the mouth of the Inukjuak River. The site would consist of a series of four natural vertical drops over a 2.7-kilometre stretch. 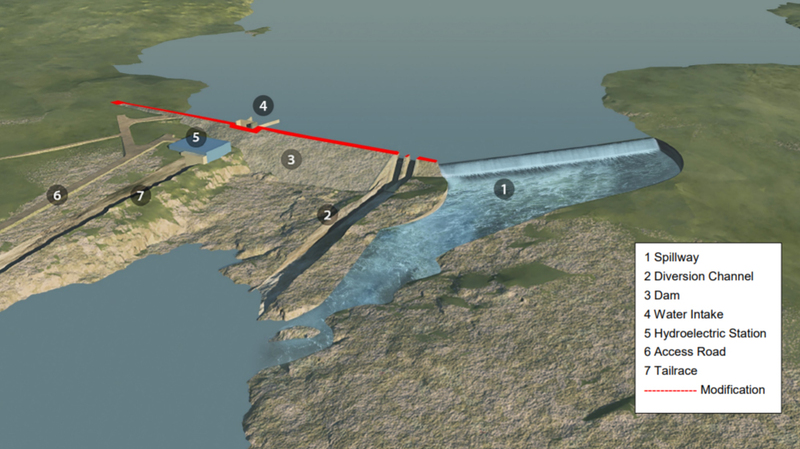 The project infrastructure would also include a power plant to house two generating units, a rockfill dam and spillway, a bridge across the Inukjuak river, as well as a 25-kilovolt transmission line installed on wooden poles connecting to Hydro-Quebec’s existing plant north of the village. The estimated cost of the construction is about $104 million; Pituvik will apply for federal grants to cover most of those costs. Under the proposal, Pituvik would sell power to Hydro-Quebec, which would remain Inukjuak’s power distributer. 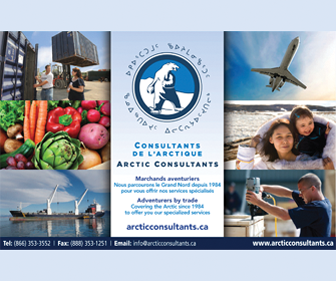 The two are negotiating a power purchase agreement that should be concluded by the end of the month, Atagotaaluk said. The two-day hearings gave community members and regional organizations a chance to weigh in on the project, which would be a first for the region. 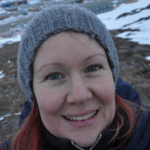 Atagotaaluk said Pituvik has done its best to mitigate the potential impact: the project will use run-of-river technology, which ensures the water level beyond the spillway stays at the height it’s always been. A diesel-powered generating station will be equipped with sensors to help detect and prevent fuel spills. Fish that migrate down the river will still be able to pass through the spillway. While some spawning beds will be affected by the construction, Pituvik has said it will construct new and larger beds. Following the hearings, the Kativik Environmental Quality Commission has 90 days to issue its report, with any recommendations. “That’s when we’ll see if there are any conditions attached to the project,” Atagotaaluk said. The KEQC would also issue the final project permit. Quebec’s energy board (La régie de l’énergie) also has a final say in Pitvik’s agreement with Hydro-Québec. If all goes well, Atagotaaluk said construction will begin on the project in August. You can read more about Innavik here. Wow! What a change this will make for Inukjuak. It will now have the means to undertake energy-heavy development projects which will employ locals. 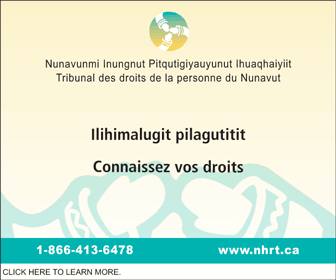 My hats off to Pituvik LHC for their hard work and vision. I think this is the way to go, with the Federal government having more funding available more then before, these types of projects can become a reality. We need our Inuit organizations to step up and follow suit, the GN will not make it happen like many other major projects needed. Please think about the fish and Beluga whales . 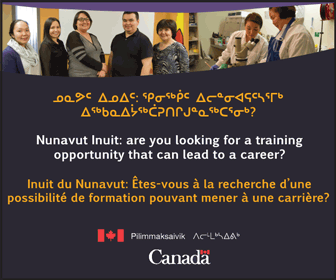 Iqaluit qilalugaillu isumagijauliit. Great project for the community! There are 3 hydro dams in Greenland, forth one on its way. It’s a long term commitment for lower cheaper and greener power. Good for the people and the environment.